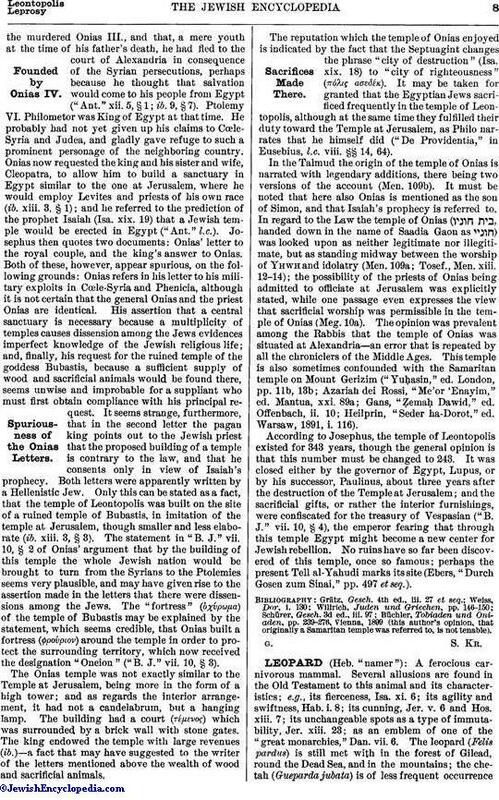 In the Talmud the origin of the temple of Onias is narrated with legendary additions, there being two versions of the account (Men. 109b). It must be noted that here also Onias is mentioned as the son of Simon, and that Isaiah's prophecy is referred to. In regard to the Law the temple of Onias ( , handed down in the name of Saadia Gaon as ) was looked upon as neither legitimate nor illegitimate, but as standing midway between the worship of Yhwh and idolatry (Men. 109a; Tosef., Men. xiii. 12-14); the possibility of the priests of Onias being admitted to officiate at Jerusalem was explicitly stated, while one passage even expresses the view that sacrificial worship was permissible in the temple of Onias (Meg. 10a). The opinion was prevalent among the Rabbis that the temple of Onias was situated at Alexandria—an error that is repeated by all the chroniclers of the Middle Ages. This temple is also sometimes confounded with the Samaritan temple on Mount Gerizim. ("Yuḥasin," ed. London, pp. 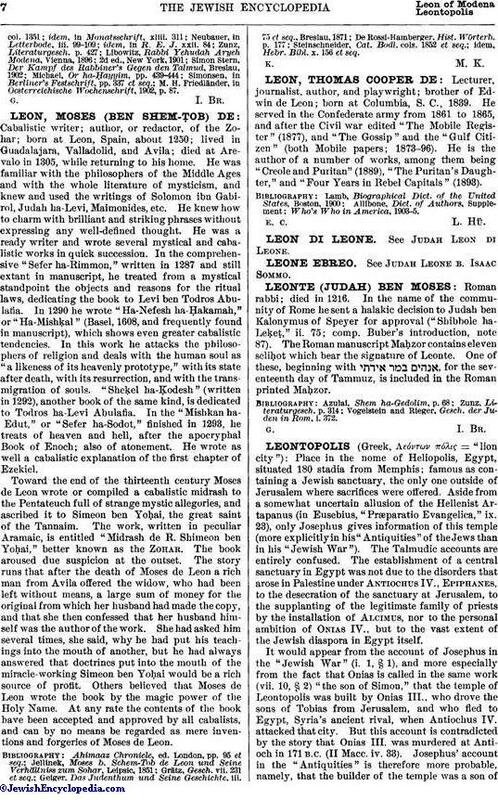 11b, 13b; Azariah dei Rossi, "Me'or 'Enayim," ed. Mantua, xxi. 89a; Gans, "Ẓemaḥ Dawid," ed. Offenbach, ii. 10; Heilprin, "Seder ha-Dorot," ed. Warsaw, 1891, i. 116).